Hyundai i30N Running Costs, MPG, Economy, Reliability, Safety | What Car? The performance market is new territory for Hyundai – the brand knows that it needs to build a good car that undercut its more established rivals on price if it is to succeed in grabbing your attention. And fair play to them – Hyundai has achieved just that. 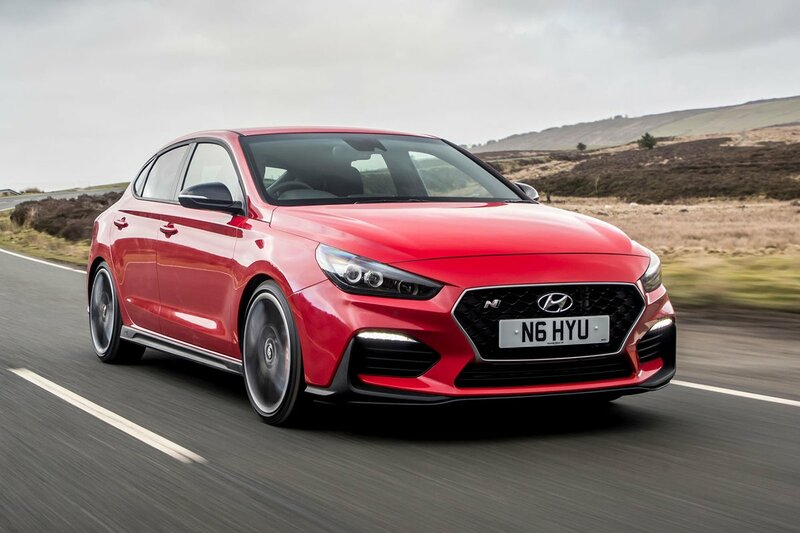 Whether you are comparing the standard i30N against rivals such as the Volkswagen Golf GTI, or the Performance model against the Honda Civic Type R and Renault Megane RS, the Hyundai looks like good value for money. The Fastback is the priciest N, but doesn’t cost much much more than the regular Performance model. Every I30N is very well equipped. The standard car has 18in alloy wheels, LED headlights, sports seats, red brake calipers, automatic lights and wipers, privacy glass, adaptive cruise control, front and rear parking sensors and a rear-view camera. That’s on top of the bits we’ve already mentioned, such as adaptive dampers and the excellent infotainment system. 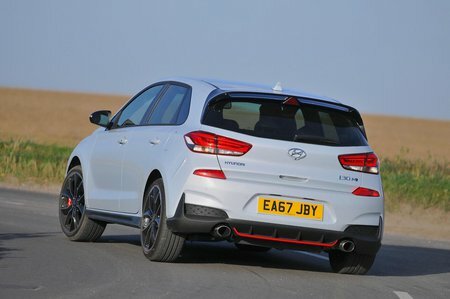 Move up to the I30N Performance and, as well as the limited-slip differential, 19in wheels, sticky tyres and sports exhaust that make it go quicker and sound more exciting, you add luxuries including leather seats and electric front seats with lumbar adjustment and memory recall. On the safety front, you get plenty of standard driver aids. These include automatic emergency braking, a driver fatigue monitor, automatic speed limit recognition and lane departure warning. 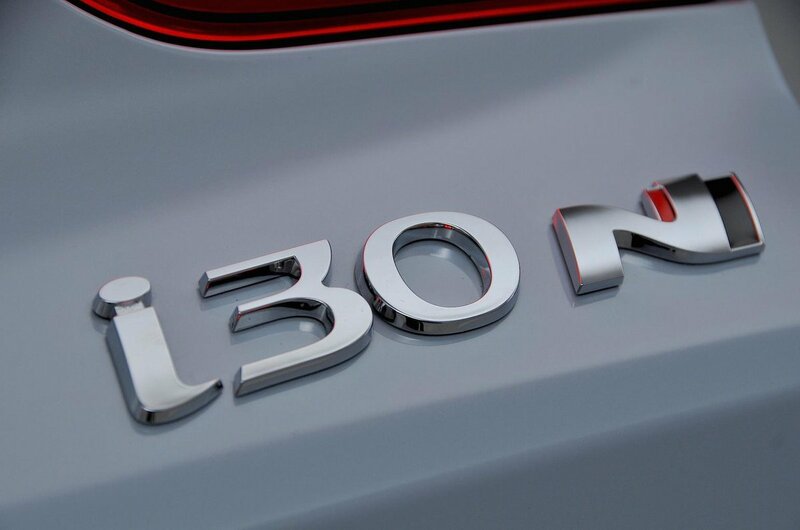 What's more, the regular i30 was awarded five stars (out of five) for safety by Euro NCAP. However, don't dive into i30N ownership expecting regular hatchback running costs; clearly, a 2.0-litre engine that pumps out 271bhp (for the Performance model) isn’t going to sip fuel like a thrifty diesel. Once you’ve recalibrated your expectations, though, you can pacify yourself with the knowledge that the i30N's CO2 emissions and fuel economy aren't too terrible. That said, in our real-world tests, the i30N Performance averaged 31.2mpg; the more powerful Civic Type R returned 35.1mpg. The latest i30 was too new to appear in our most recent reliability survey. However, Hyundai performed well as a brand, finishing ninth out of 31 manufacturers tested. The i30N is a well-equipped, great value hot hatch that will really put a smile on your face. There are more powerful and quicker alternatives – the best of those is the Honda Civic Type R – but i30N still makes loads of sense, particular in entry-level 247bhp guise. Fastback, meanwhile, offers a bit of extra load space and a sleeker look for a little extra cash.